This online SHA384 Hash Generator tool helps you to encrypt one input string into a fixed 384 bits SHA384 String. Paste your Input String or drag text file in the first textbox, then press "SHA384 Encrypt" button, and the result will be displayed in the second textbox. SHA-384 is very similar to SHA-512 algorithm. 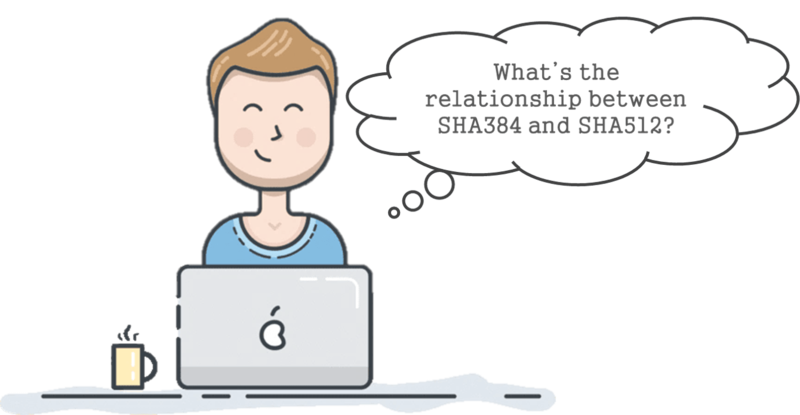 Though SHA-384 only produce 384 bits length result, so SHA-384 is not as secure as SHA-512. Does SHA384 Hash Generator Online Tool log my data?